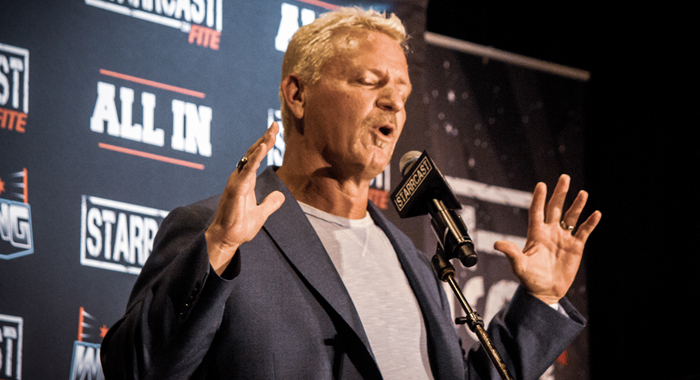 PWInsider is reporting that the legal battle between Jeff Jarrett and Anthem continues. Anthem is claiming that they have an implied license to use the footage from Jarrett’s Global Force Wrestling, but Jarrett’s attorneys claim that the burden of proof lies on Anthem to prove the existence of an implied license. Anthem is also claiming ownership of the Jeff Jarrett character, but seeing as that is Jarrett’s real name, and he’s portrayed a variety of characters under that name, for different companies, its hard for them to actually cement which version of the Jarrett character they own. So far, WWE has been careful about using the mid-90s version of Jeff Jarrett for his appearances at the WWE Hall of Fame, Royal Rumble & Monday Night RAW. There is seemingly no resolution to the matter at this time.